The Apartment (1960) features Bud Baxter (Jack Lemmon) as a lonely office worker in a corporate insurance company in New York City. In an effort to climb the corporate ladder, he lends his Upper West Side apartment to some influential company managers who use if for their extramarital affairs. The company personnel director, Jeff D. Sheldrake (Fred MacMurray) discovers what Baxter is doing, but instead of punishing him, he insists on using his apartment too. Enter elevator operator Fran Kubelik (Shirley MacLaine) who Bud has had his eye on for weeks. Bud is disappointed to discover that Fran is Sheldrake’s latest fling when she stands him up on a date. What happens next is nothing short of amazing. Directed by Billy Wilder and written by Wilder and I.A.L. 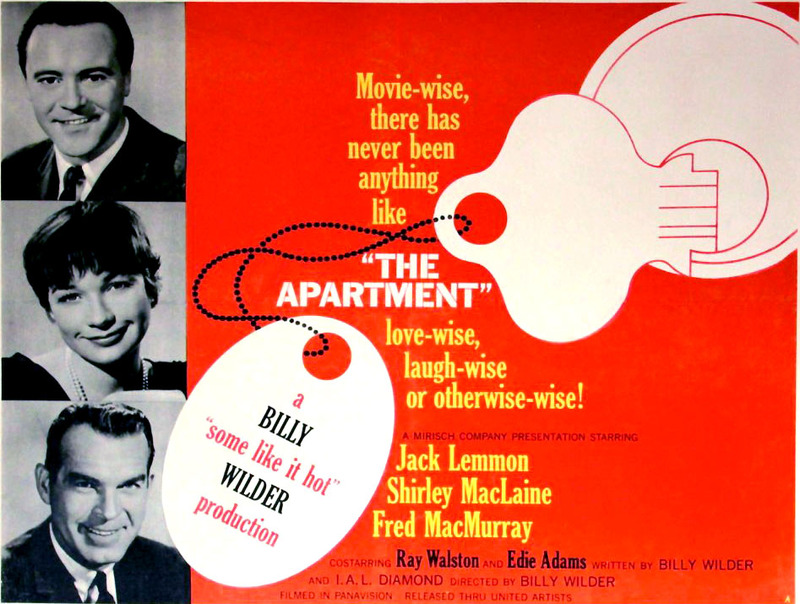 Diamond, The Apartment won the Best Picture Oscar for 1960 as well as awards for Best Director and Writing.